It’s a Pom Pom Party! 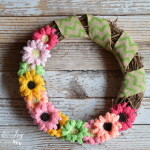 By now you’ve probably seen a wellspring of pom pom and tassel projects as you’ve perused Pinterest, AllFreeCrochet, and FaveCrafts, among other crafty websites. Pom pom crafts are just plain adorable, which is why our friends at the Craft Yarn Council are throwing a #PomPomParty! Celebrate pom poms and tassels with us this week by checking out our projects and making something awesome! Also be sure to browse the CYC’s gorgeous Pinterest board of pom pom projects. Seriously: did you know you can add tiny pom poms to your manicure? So crazy and cute! If you find a project you love, be sure to let us know. We’re excited to celebrate this charming trend with you throughout fall 2017! First, you need to learn how to make a pom pom! There are several ways to do it, and we have a video showing you one of our favorite ways. Watch the Fuzzy DIY Pom Pom video. We also have an excellent step-by-step photo tutorial on making pom poms, which can be found here: How to Make a Pom Pom. This easy crochet dishcloth pattern features a literal twist on a classic stitch! Start with rows of basic double crochet and learn how to the criss cross stitch to give the pattern lovely texture. The tassels, of course, are a must. Sewing fans will love this easy pillow pattern. This Anthropologie-inspired pillow features the most darling little tassel details. It’s a little addictive to play with them! You can literally make this darling pom pom hat for every member of the family. There are directions in this pattern for literally NINE different sizes. It’s a darling classic hat, and the star stitch is so pretty! Best of all, you get three pom poms on this hat. This is one of the easiest tassel crafts you could make, and the results are so classy! Practice tying the tassels in such a way that you make these lovely designs in the earrings. A bright color is the perfect statement accessory! Want all of these patterns in one place? Download our PDF eBook, 5 Easy Tassel Crafts and DIY Pom Pom Projects to join in the #pompomparty! Check out more GORGEOUS pom pom and tassel crafts over at the Craft Yarn Council. Tell us all of your feelings on the pom pom and tassel trend. Thanks for the video about pom pom and step wise guide about it. Very through. I have even shared it within my network. I cant take my eyes off from Tassel Pillow with Trim. I will make a pair of tassel pillow this week. Thanks tons for compiling the projects. As usual keep posting as i really love reading your posts.